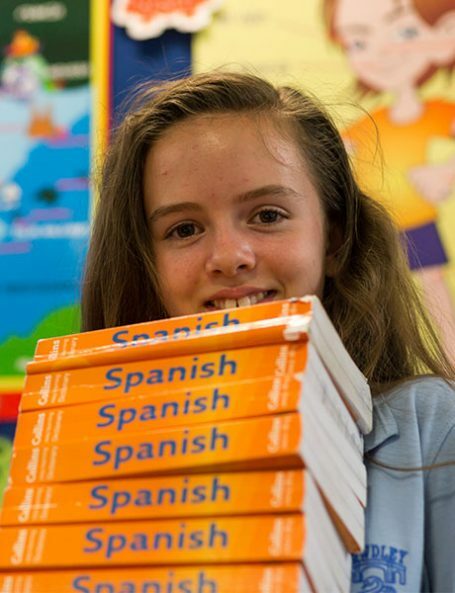 The work covered in the year 7 Spanish course aims to provide pupils with a solid foundation of language and structures to enable them to progress well in Spanish in future years. A variety of language learning skills will be developed within a topic based scheme of work and an emphasis is placed on both the enjoyment of learning the language as well on developing confidence in language use. Pupils are expected to complete regular tasks to consolidate and extend the material covered in lessons and are encouraged to converse in Spanish within the classroom. Assessments in ALL skills throughout the year. The work covered in the year 9 Spanish course aims to provide pupils with a solid foundation of language and structures to enable them to progress well in Spanish in future years. A variety of language learning skills will be developed within a topic based scheme of work and an emphasis is placed on both the enjoyment of learning the language as well on developing confidence in language use. Pupils are expected to complete regular tasks to consolidate and extend the material covered in lessons and are encouraged to converse in Spanish within the classroom. Assessments in ALL skills throughout the year. The work covered in the year 10 Spanish course aims to provide students with a strong variety of skills based activities linked to their GCSE. A variety of language learning skills will be developed within a topic based scheme of work and an emphasis is placed on both the enjoyment of learning the language as well on developing confidence in language use. Students are expected to complete regular tasks to consolidate and extend the material covered in lessons and are encouraged to converse in Spanish within the classroom. Assessments in ALL skills throughout the year. The work covered in the year 11 Spanish course aims to provide students with a strong variety of skills based activities linked to their GCSE. A variety of language learning skills will be developed within a topic based scheme of work and an emphasis is placed on both the enjoyment of learning the language as well on developing confidence in language use. Students are expected to complete regular tasks to consolidate and extend the material covered in lessons and are encouraged to converse in Spanish within the classroom. Assessments in ALL skills throughout the year.